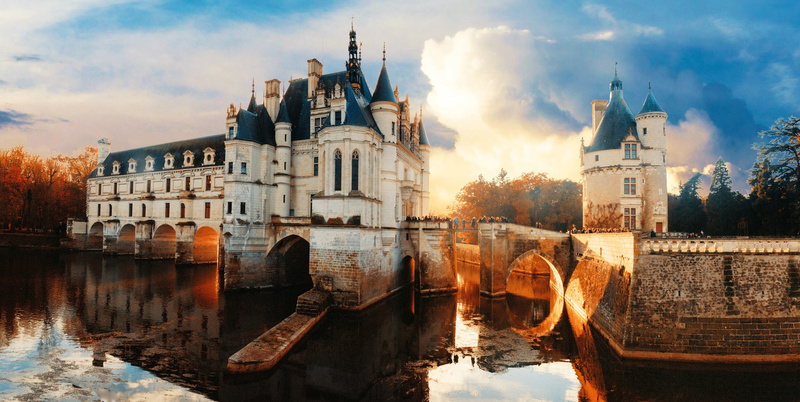 Castle of Chenonceau, located near Tours in France. It was built during the 16th century and is crossing the Cher river. It was used as a hospital during WWI and as a smuggling bridge during WWII.